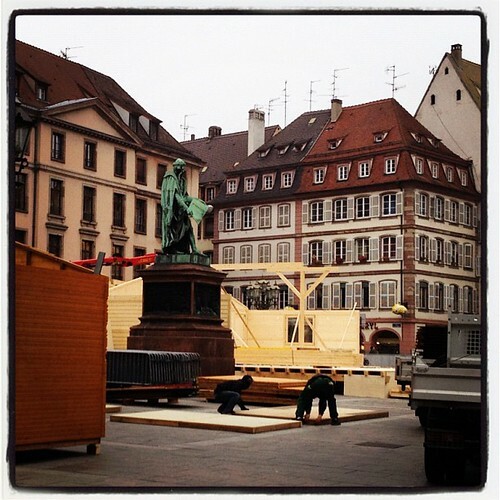 Christmas market in Strasbourg going up, originally uploaded by radiowood2000. Place Gutenburg, November 15, 2011. 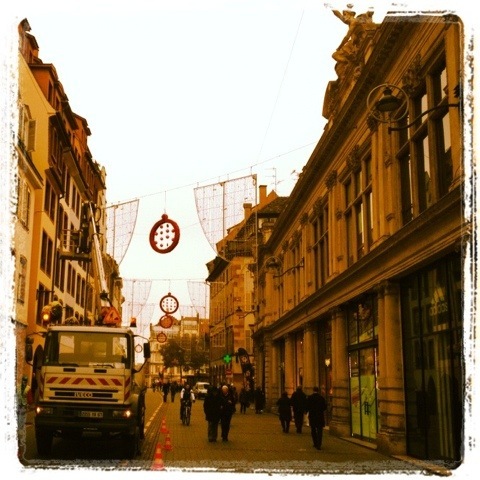 Strasbourg calls itself the Capital of Christmas, with special Christmas markets all around the center of the city. 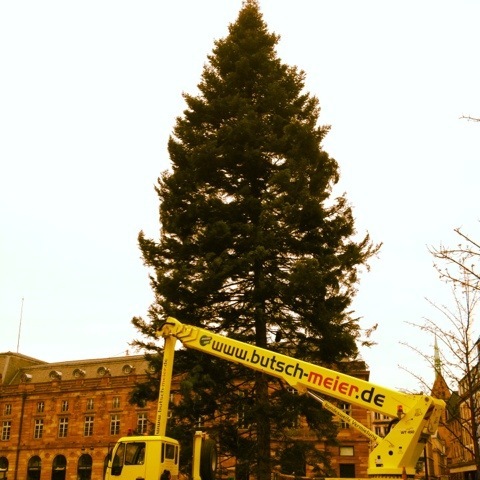 The huge tree at the Place Kleber was raised a few days ago, and the decoration work continues.